The Eyedropper tool is generally used for picking colours or gradients in Illustrator. However, the eyedropper can also be used for picking character styles and appearances. To do this, choose the text you want to change and pick the Eyedropper tool. Then, using the Eyedropper tool, pick the text style you want to copy from and it will set you current text to that new style. 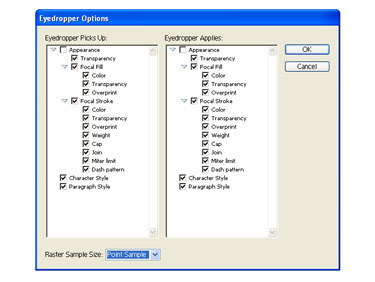 You can also set the options you want to pick by double clicking the Eyedropper tool to display the Eyedropper options window.